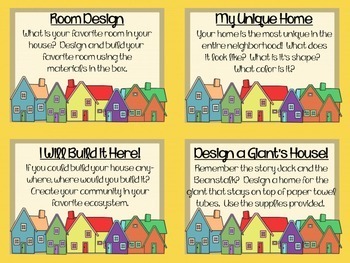 If I Built a House: A STEM/STEAM Creation! 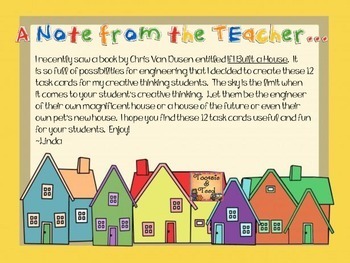 I recently saw a book by Chris Van Dusen entitled If I Built a House. It is so full of possibilities for engineering that I decided to create these 12 task cards for my creative thinking students. The sky is the limit when it comes to your student’s creative thinking. 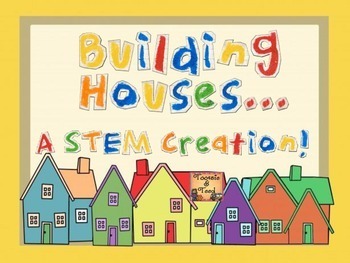 Let them be the engineerof their own magnificent house or a house of the future or even their own pet’s new house. I hope you find these 12 task cards useful and fun for your students. Enjoy!